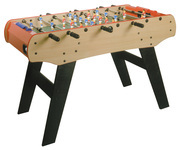 The Derby is a French made table brought to you by the Rene Pierre manufacturer. 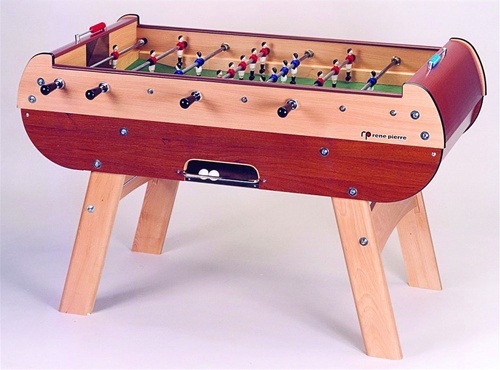 This table is an older model that isn't currently being manufactured anymore but is a great table to find on the used market. 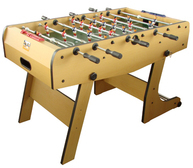 It offers a 3/4 inch thick MDF cabinet sides with rounded goalie ends that come above the side rails. 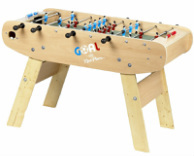 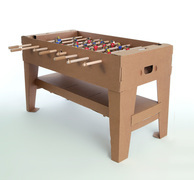 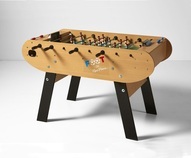 The foosball men are made of die cast metal and are mounted on telescopic rods as a safety feature that don't allow them to push through the other end of the table. 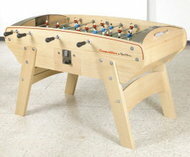 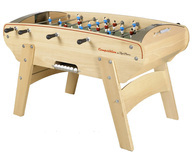 The rounded handles provide ball control, the primary playing style of French and other European tables.